There's something pretty rare and special happening at the Lab Theater this month. In a time when new original musical theater is becoming an endangered species on Broadway (as it's taken over by jukebox musicals, revivals, and movie adaptations), Minnesota's own Theater Latte Da is investing in the future of musical theater with their second annual new works series NEXT. Each of three new works is workshopped over a week or so and has three public performances, often with changes in between. 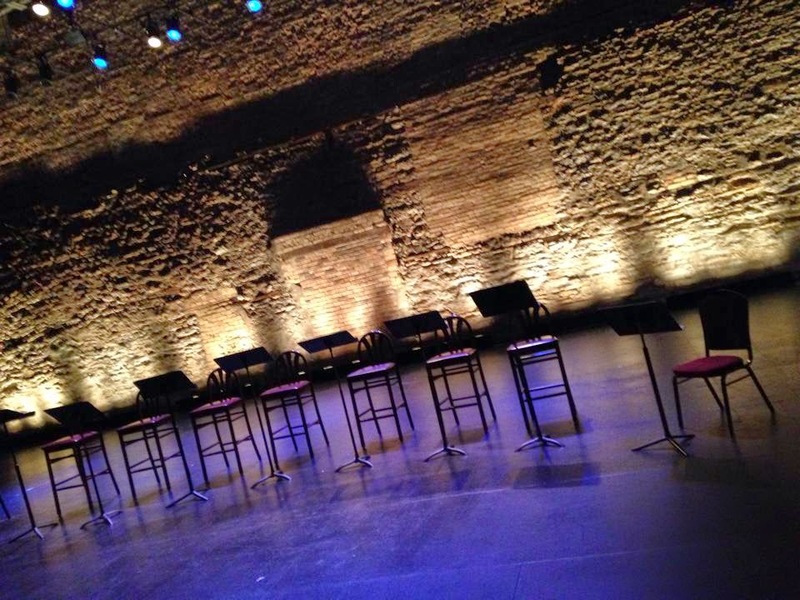 Audiences are invited to participate in a discussion with the creators after the show to help them continue with the development process. It's a really fun opportunity for the audience to get a peek into the process of creating a new original musical. 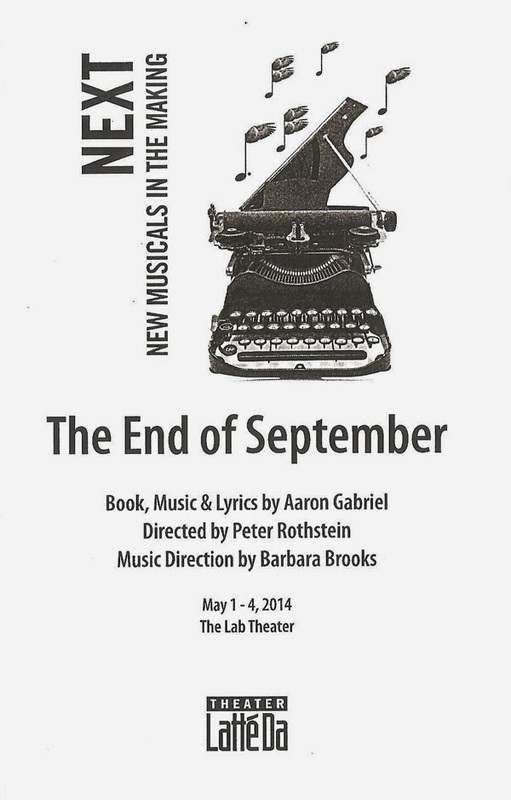 The first of this year's new works is The End of September by Aaron Gabriel. This very Minnesotan story focuses on a woman in small-town Minnesota who experiences a crisis of faith in regards to her religion, friends, family, community, and the native people she thinks she understands. She's the kind of character that is so set in her beliefs and confident in her world view that you know something is going to come along and shatter it. That something is a devastating revelation about her friend and preacher, and comes fairly late in the second act. Things are not neatly wrapped up, but rather left as a new beginning of sorts for this woman and her family. The End of September features new music ranging from beautiful harmonic hymns to Ojibwe chants to songs influenced by mid-Century composers (or so Aaron said, I'm not that knowledgeable). These are not easy songs to sing, with complex rhythms and melodies. I find that interesting because you can't predict what note or phrase is coming next (similar to Sondheim's complex scores). The work is read and sung by a fantastic cast of local musical theater actors, and in fact is not just read but beautifully and emotionally performed, with direction by Latte Da's Artistic Director Peter Rothstein and musical direction and accompaniment by Barbara Brooks. I think this piece has great potential, and as a native Minnesotan I recognize the characters from my own life and family. I look forward to seeing it in its next carnation. The next new work featured in NEXT is Some Assembly Required, a completely improvised musical by local comedy improv actors. The series ends with Horizon, featuring "southern rock and bluegrass" music. For more information and to purchase tickets, see Theater Latte Da's website.